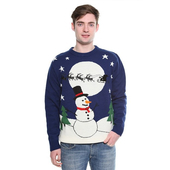 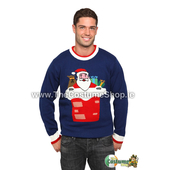 Sleigh Christmas jumper is the perfect statement for anyone who just loves the Christmas Holidays. 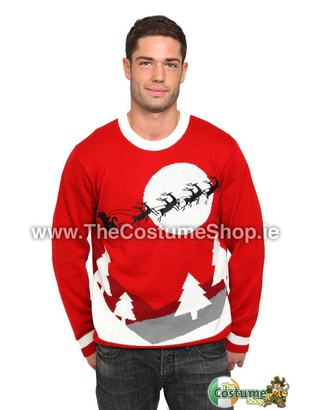 This cheesy jumper long sleeved jumper is red in colour with a white round neck line with a sleigh, moon and tree applique on the front. 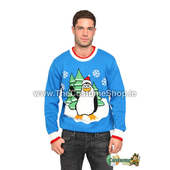 The sleeves have a white strip to finish off the jumper. 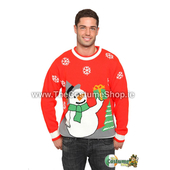 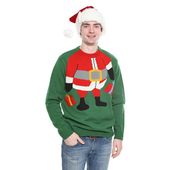 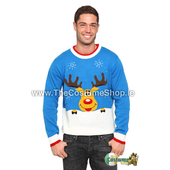 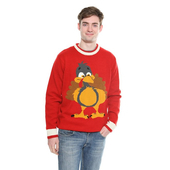 Ideal for any Christmas occasion, this cheesy jumpers will be the center of attention at any Christmas event.